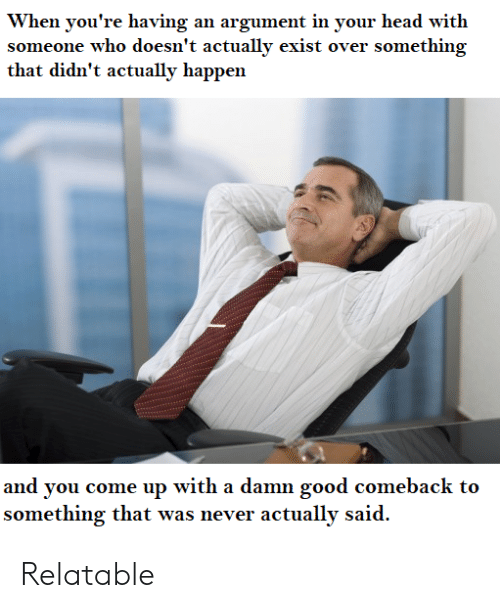 Funny, Good, and Story: GE nstala tion Are install bannas LA PE Everyone loves a good comeback story, right? 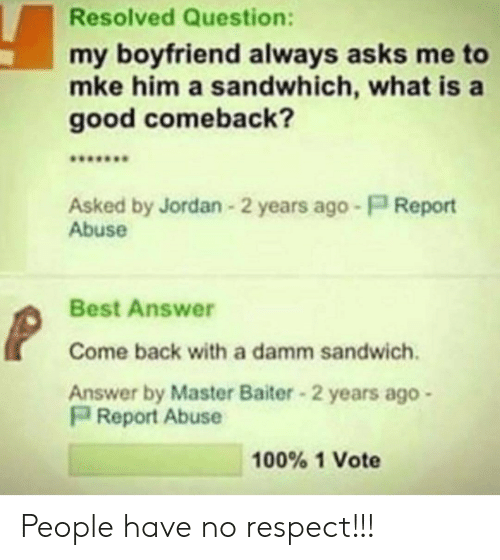 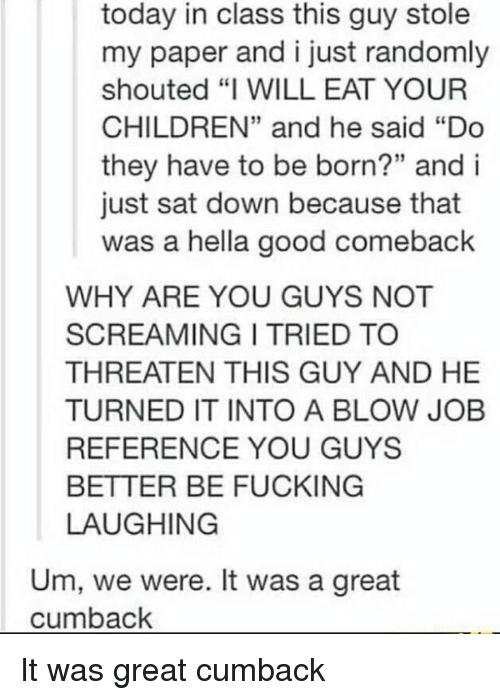 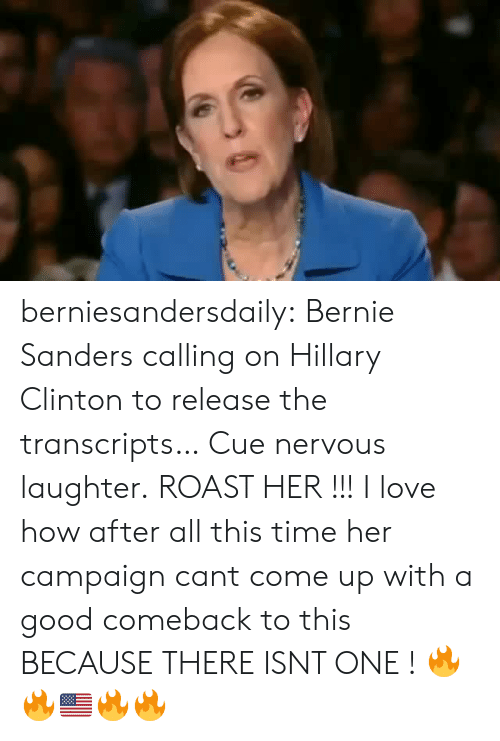 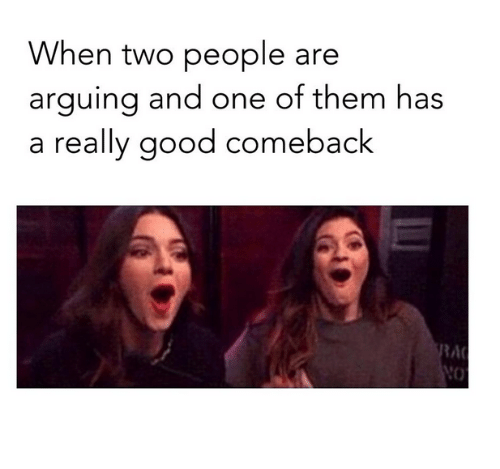 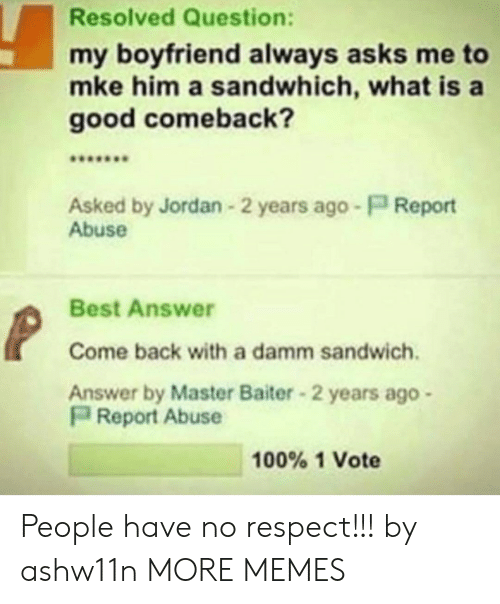 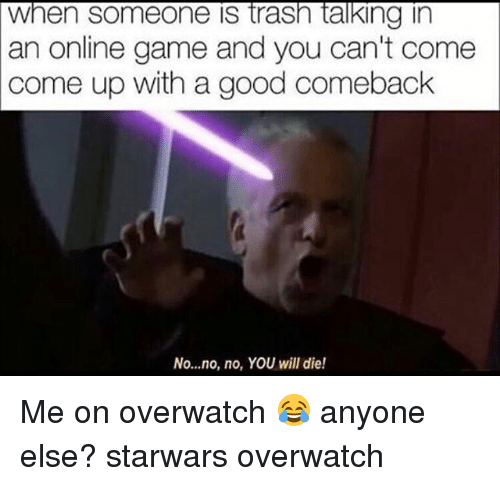 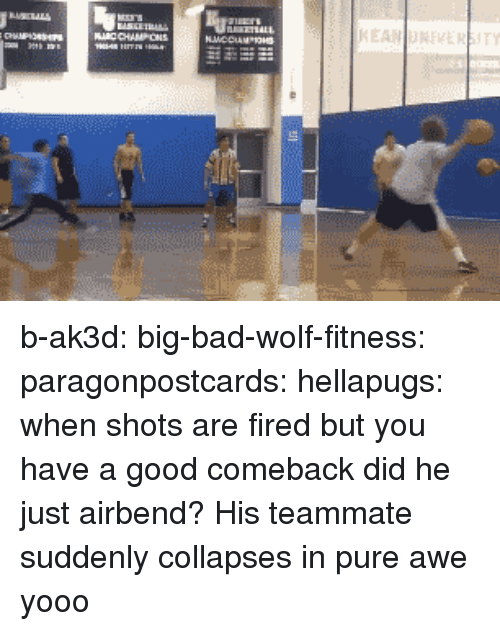 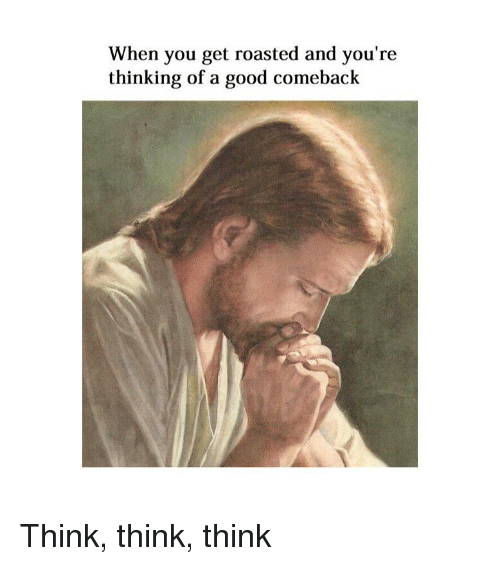 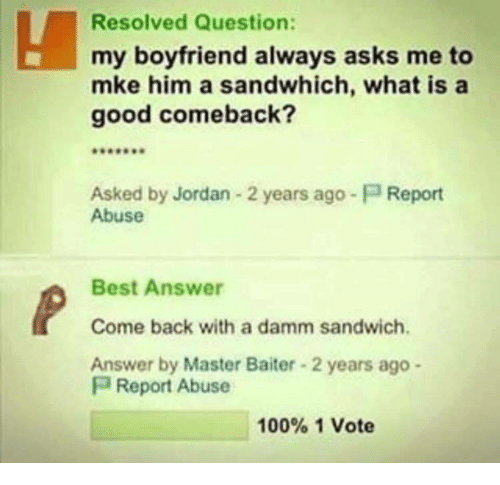 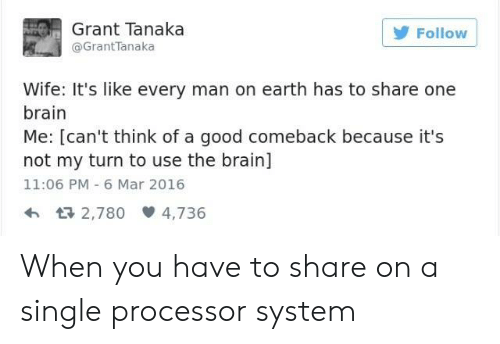 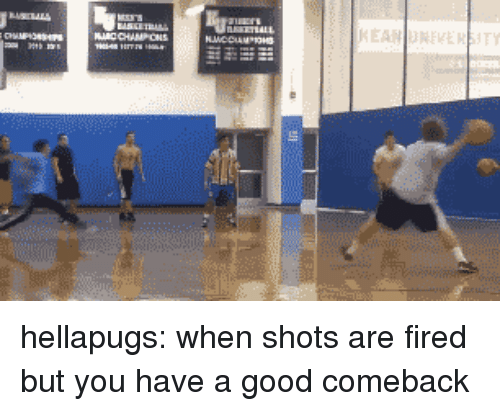 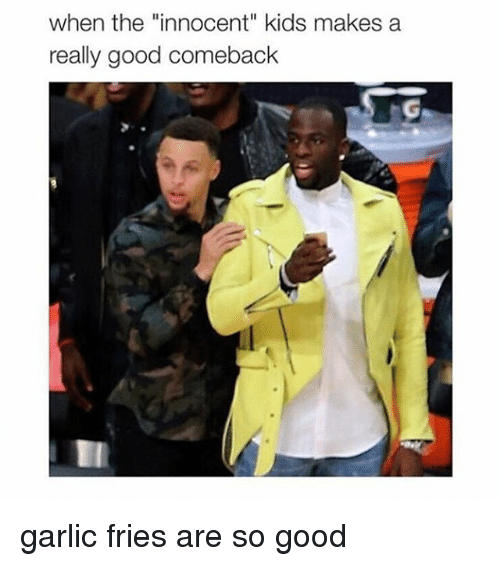 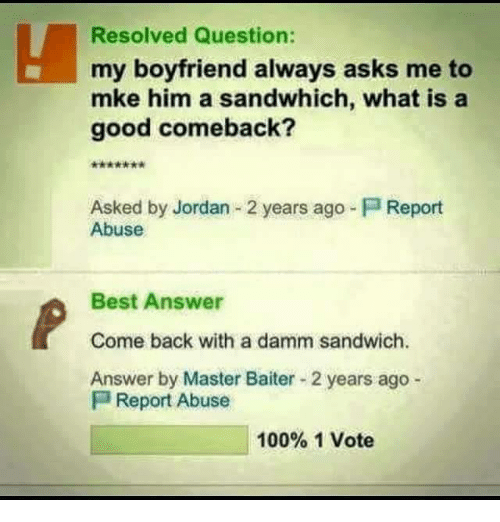 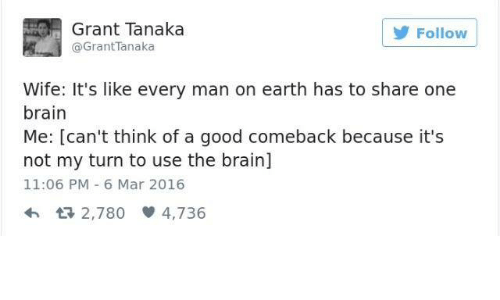 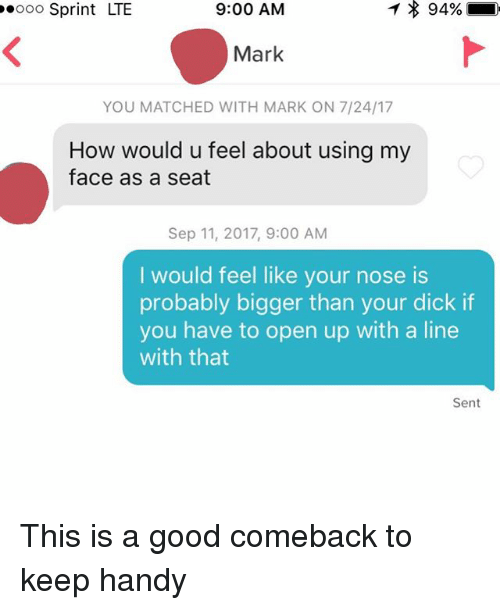 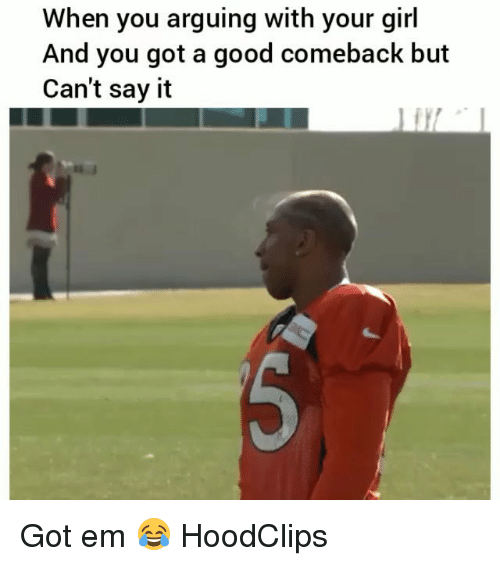 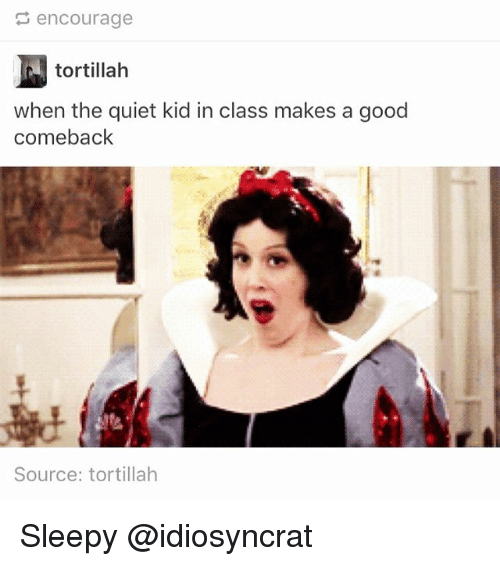 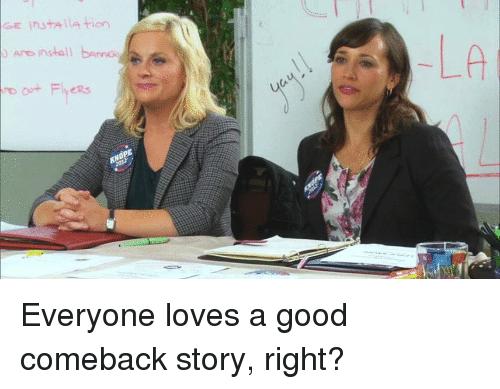 Everyone loves a good comeback story, right? 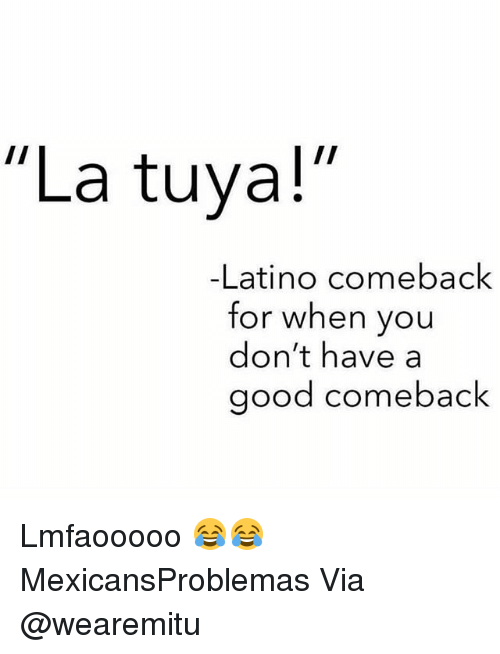 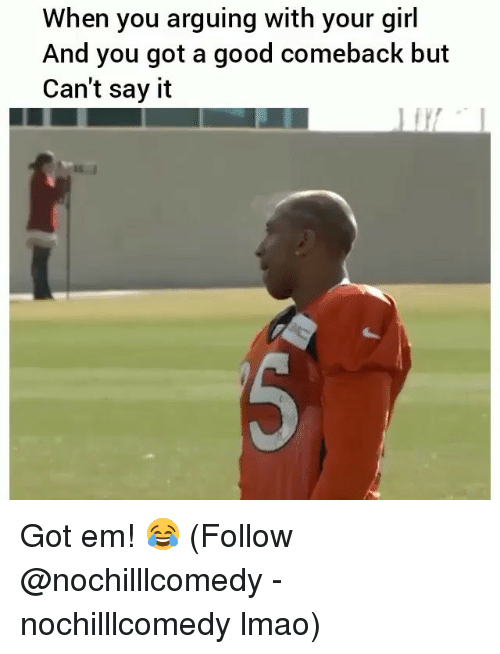 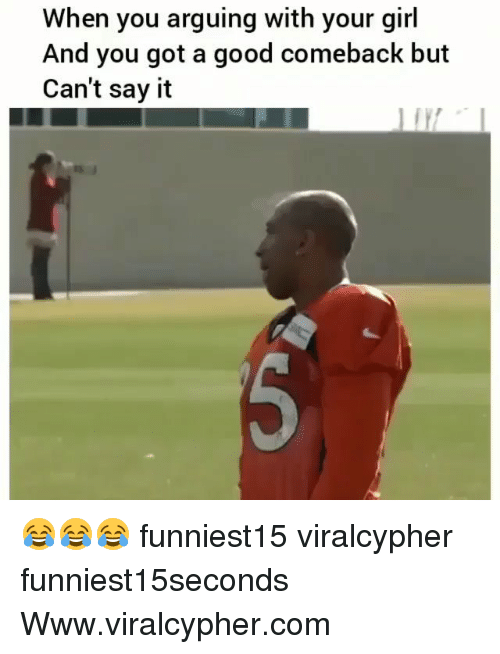 Latinos, Memes, and Good: "La tuya! 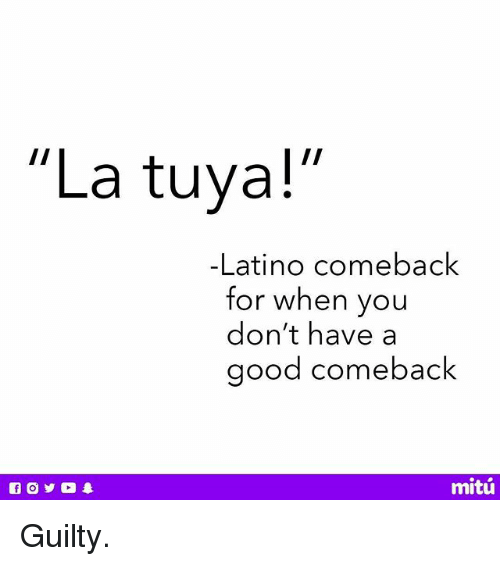 -Latino comeback for when you don't have a good comeback mitú Guilty. 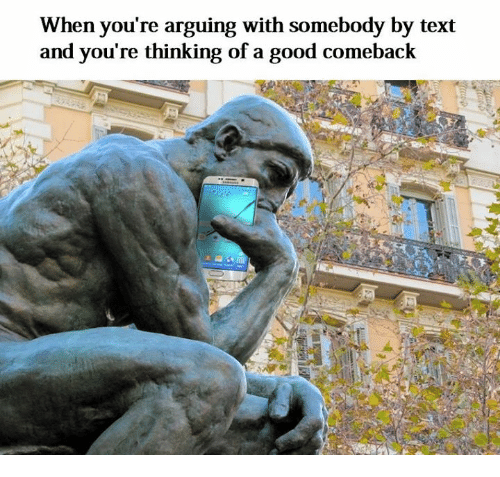 Memes, 🤖, and Argument: When you think of a good comeback hours after the argument. 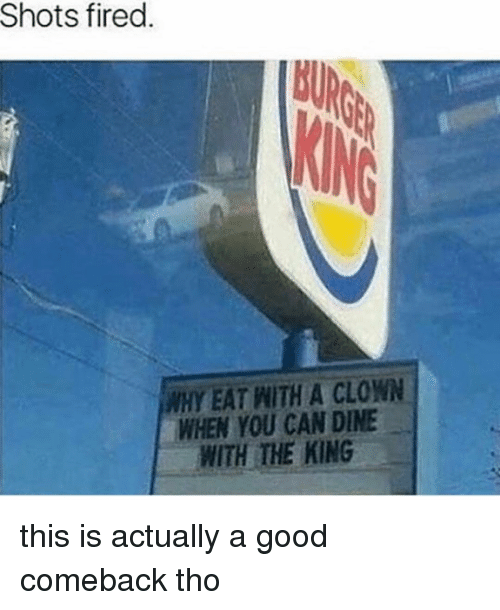 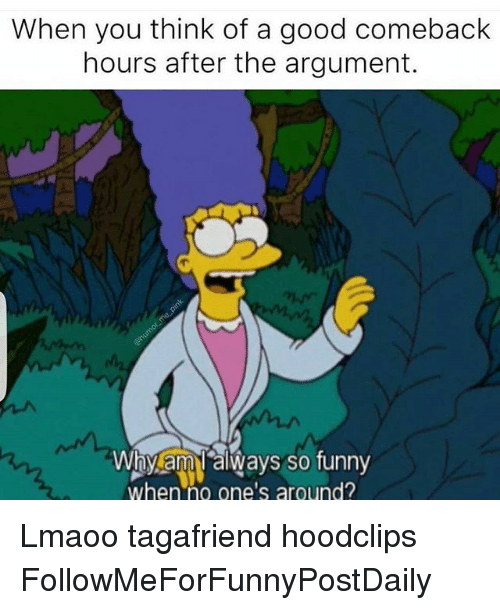 Why am always so funny when no one's around? 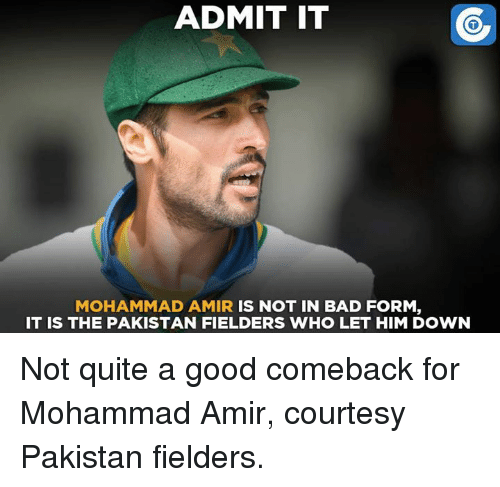 Memes, Pakistan, and 🤖: ADMIT IT MOHAMMAD AMIR IS NOT IN BAD FORM IT IS THE PAKISTAN FIELDERS WHO LET HIM DOWN Not quite a good comeback for Mohammad Amir, courtesy Pakistan fielders. 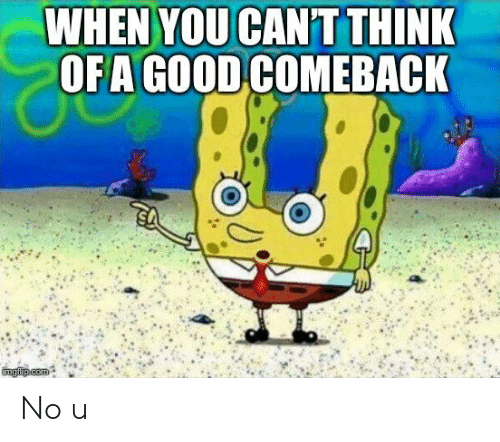 Not quite a good comeback for Mohammad Amir, courtesy Pakistan fielders. 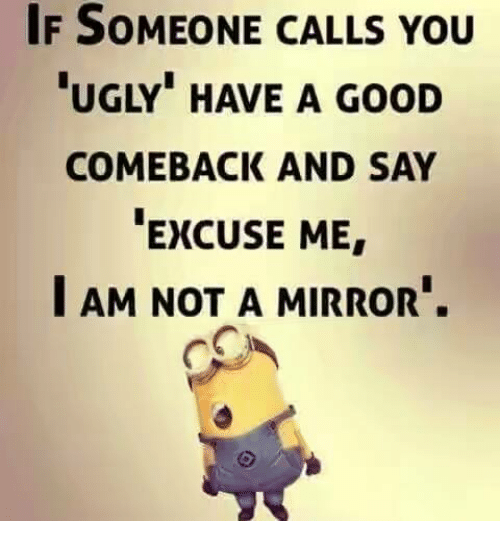 Memes, Ugly, and Good: IF SOMEONE CALLS YOU UGLY" HAVE A GooD COMEBACK AND SAY EXCUSE ME I AM NOT A MIRROR. 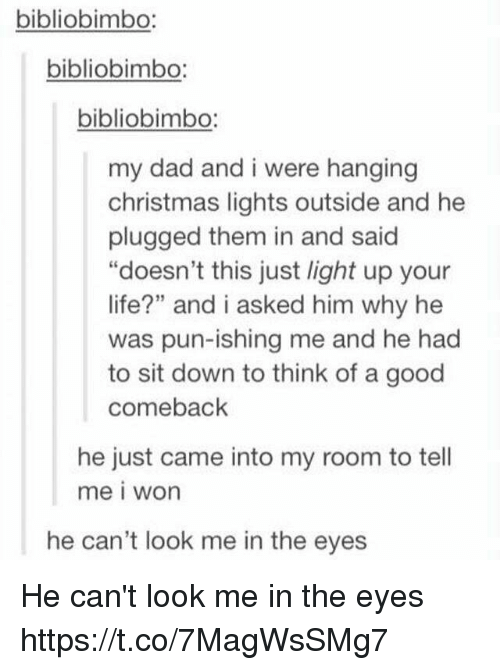 Dank, 🤖, and Light: oo AT&T F 11:52 AM bibliobimbo: bibliobimbo: bibliobimbo: my dad and i were hanging christmas lights outside and he plugged them in and said "doesn't this just light up your life?" 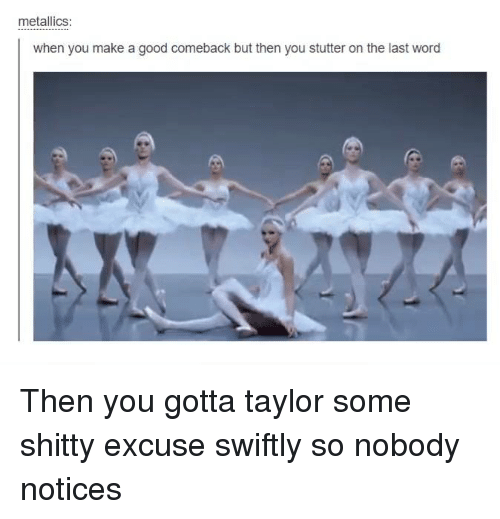 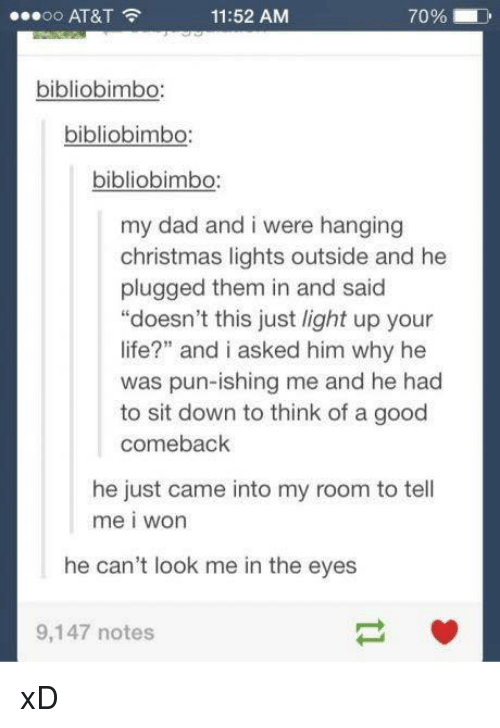 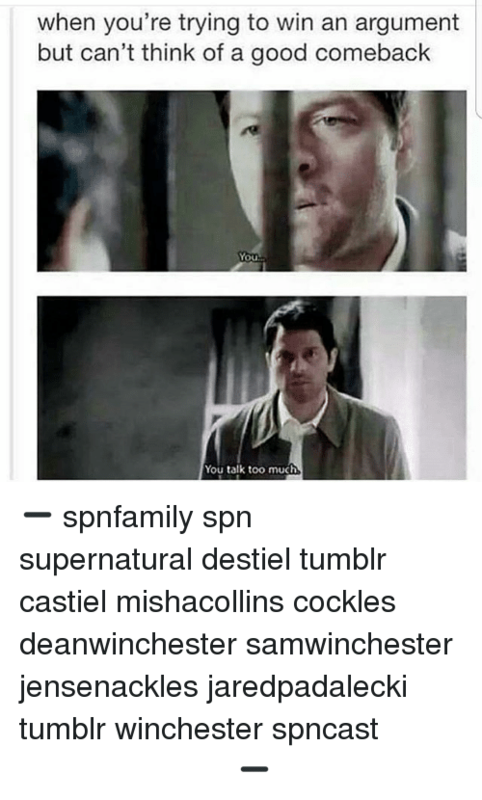 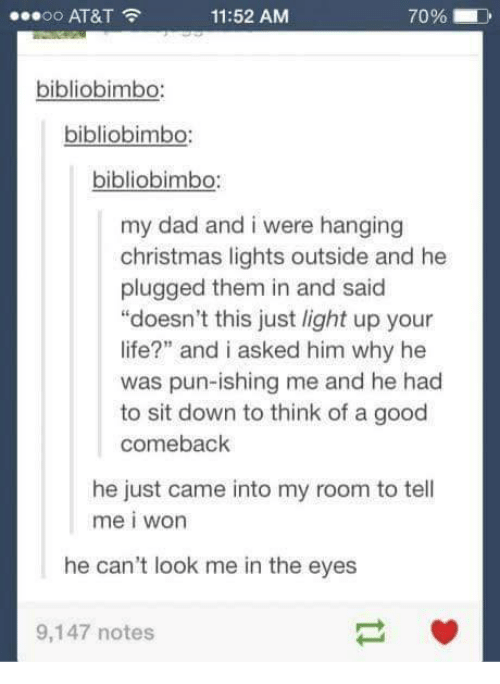 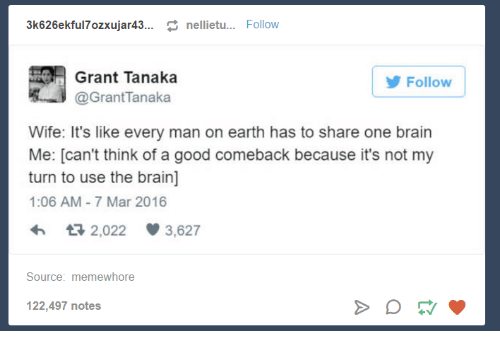 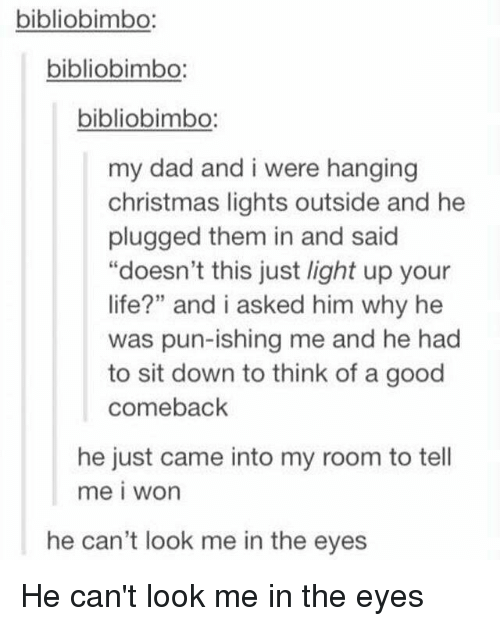 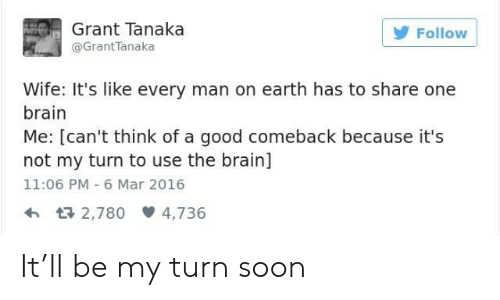 and i asked him why he was pun-ishing me and he had to sit down to think of a good comeback he just came into my room to tell me i won he can't look me in the eyes 9,147 notes. 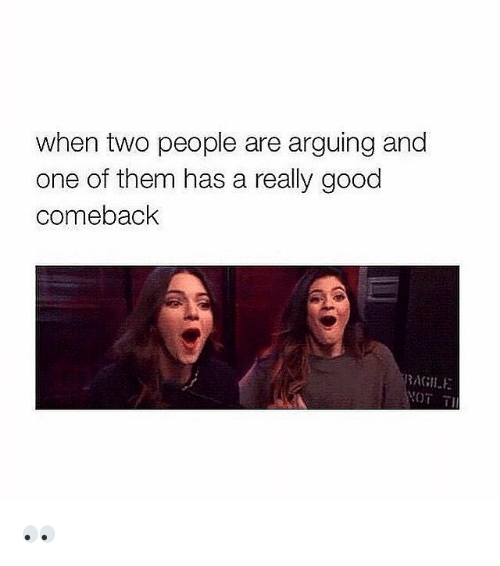 Argument, A Good Comeback, and Good Comebacks: When you think of a good comeback hours after the argument. 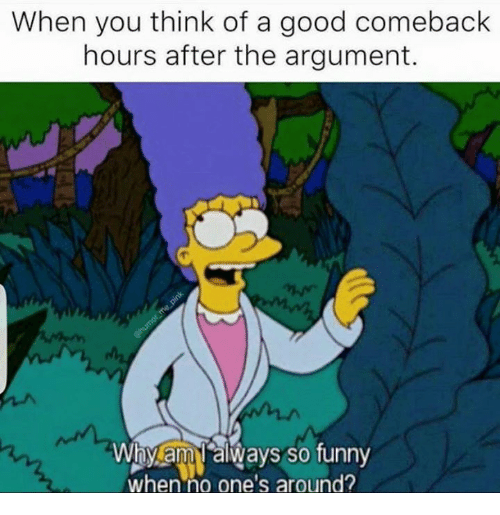 Why am always so funny when no one's around?